So I have been wanting to jump on the Overall train for a while now but have honestly been scared. Some girls look SOO cute in them but I was not sure I could pull it off. I was afraid I would be walking the line of trendy vs farmer and would end up looking more farmer… but after hours of Pinterest scrolling outfit inspiration I finally decided to take the plunge. The first day I wore them out I was SO nervous. I paired my newly purchased overalls with a white blouse and some fun orange booties I had. Never had I received so many compliments on one outfit!!! After a few different outings in the overall I am finally confident rocking this look, which is half the battle of having great style – confidence. 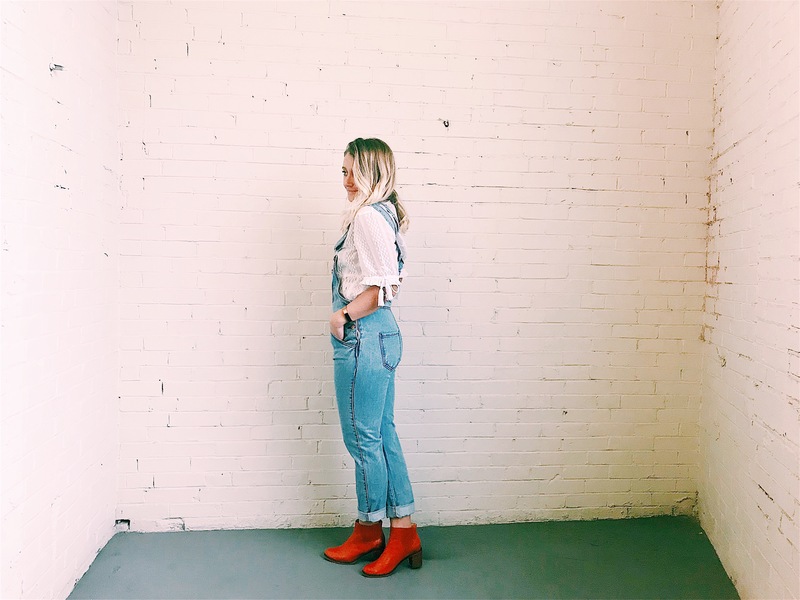 So my tips for you on how to rock your overalls…. Outfit links : Overalls. Booties. Blouse.